Last week, the activist-aligned capital management firm Green Century held a webinar for its clients and supporters to discuss how divesting from fossil-related energy firms could impact the performance of portfolios. It’s an interesting topic, for sure – and one that’s been the focus of a good bit of research and scholarship lately, including the landmark study issued earlier this year by Prof. Daniel Fischel of the Univ. of Chicago Law School, which found that divested portfolios perform about 70 basis points worse on an annual, average basis relative to their diversified peers. Of course, the idea that blacklisting an entire economic sector as ubiquitous and interconnected as energy represents a bad piece of investment advice is not exactly a controversial point-of-view among professionals in the field. But for firms like Green Century, which markets itself as a manager that can both make real money for its clients while completely and genuinely avoiding fossil fuels, the findings of the Fischel study basically contradict everything they’re trying to sell – hence Green Century’s decision to whip together this webinar, which was supposed to serve as an opportunity for green financial “experts” to push back on the prevailing narrative of divestment as a really expensive way to send a pretty weak message. So we decided to listen in (since we did receive an invitation, after all) just to see what kind of spin they’d try to employ to get folks to believe that you can actually make money from weakening the diversification profile of your stock portfolio. But you know? We have to give them credit: while the purpose of the panel was to discuss the benefits of divestment, the panelists on the call were surprisingly candid about the faults, failures and limitations of divestment as a sound investment strategy. Divestment comes with a real cost in the short term. While many supporters of the divestment movement have attempted to seize on the recent oil-price downturn as evidence of the “financial prudence” of divesting from fossil fuels, the reality is that any commodity or technology will experience price fluctuations over its lifetime. The question is: how to reduce the level of risk you are exposed to as an investor, while still keeping yourself eligible for high returns? As Kern admits in his remarks, just moving your money from fossil fuel companies to so-called green stocks is far from a safe bet. Making Divestment Work – By Investing in Russia? While Kern said divestment in the short term is too risky for personal investors, he did say that divestment could work in the long term, especially for larger holders. So how does this work? While Kern didn’t spend too much time explaining this point during the webinar, he does provide details in his recent research paper. And the rationale is pretty surprising: invest in Russia. In other words, if you’d like to make yourself believe that you’ve divested from fossil fuels, but still want the benefits of diversification that come from investing in fossil fuels, then the answer is to just dump all your money into countries like Russia and Norway, whose economies are significantly dependent on oil and natural gas. Sounds kind of like cheating to us. But whatever helps you sleep at night, we guess. 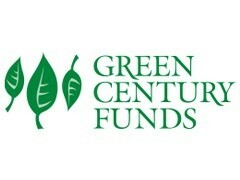 This led us to take a closer look at Green Century Funds own investments. Sure enough, Green Century invests in a number of companies that rely heavily on fossil fuel industry, whether it’s the utility, manufacturing or transportation sector. In fact, only .9 percent of Green Century’s equity fund is invested in renewable energy, while software, technology, transportation and pharmaceutical companies make up 33.1 percent. These companies may not be directly involved in the development of fossil fuels, but they sure use a lot of it to run their companies and produce (and fuel) their products. Simply put: Even the leaders of the divestment movement clearly understand that removing themselves from fossil fuel related investments would just be too costly. So again, does this really count as divestment? During the Q&A session, the panel was asked about the role of stranded assets in the divestment debate. As Dan Kern noted, there are very “mixed reviews” around the idea and what it means for investors. As DivestmentFacts.com has explained before, the stranded-assets crowd basically believes that oil and gas is a bad investment because 1) the implementation of restrictive global carbon policies is right around the corner, which promises to 2) prevent companies from producing their oil and gas reserves, 3) raising the price for them so high that 4) consumers won’t even be able to afford a gallon of gas anymore, which eventually 5) will make renewable technologies much more cost-competitive, leading to 6) the end of the oil and gas industry as we know it. That, in a nutshell, is your standard, stranded-assets argument. Yet as Kern made clear in his remarks, the stranded asset argument for oil and gas “really relies upon either significant near term regulatory change or significant consumer behavior change, and I’d say that in the near term I’m more of a skeptic than I think Leslie or Brett would be on the stranded asset argument.” Apparently Mr. Kern didn’t get the McKibben-approved talking points memo on this one! Here’s one of those topics that’s always going to be a source of tension between the straight-activist crowd and firms like Green Century, which, although they may be aligned with activists from an emotional standpoint, are often burdened by their status as being actual capital markets professionals (as opposed to people like this). For a lot of these so-called green investing firms, engaging with firms they would otherwise love to destroy has always been the preferred approach relative to divestment – that’s why management firms like Trillium and Arjuna Capital buy up stocks from some of the largest oil and gas companies in the world. Not because they’re trying to make a buck off them – but because that stock ownership allows them to file proxy resolutions, which, although they never win, in turn allow them to fire off press releases and generate media coverage that, at the end of the day, is designed to defame the industry. It’s that simple, really. Interestingly enough, even Bill McKibben admits that divestment won’t have any direct impact on companies, and instead notes that the movement “will undercut the industry’s political power” and is just “one tool to change the zeitgeist.” Perhaps emphasizing engagement – a tool that Green Century itself has found extremely powerful in effecting change – would be a better way to have an actual impact. In his opening remarks, 350.org analyst Brett Fleischman thanked Green Century for its support of the divestment movement, noting that Green Century and 350.org have long partnered on initiatives to support divestment. Of course, it was only a couple months ago when Green Century’s Leslie Samuelrich spoke at Harvard’s Heat Week to urge the school to move forward with divestment; 350.org also features Green Century as a fund to consider to “reinvest in climate solutions” and together in 2014 the groups announced a “guide to divestment” with Trillium Asset Management. While none of this is surprising given the organizations’ alignment on the fossil-free campaign, it does beg the question of whether Green Century supports divestment because it sees it as a way to combat climate change – a fact that even supporters of the divestment campaign have rejected – or rather a way to increase support of its own fund, and thus support its own business agenda. As demonstrated by this webinar, trying to make the financial case for divestment isn’t easy – even for folks who support it! The more divestment activists try and provide the financial justification for divestment the more it fails. If it takes reinvesting money in Russia to make it work, you know the argument isn’t going to hold up. For any activist that actually listened to the webinar, the bottom line was clear: divestment isn’t for you, and it’s probably not for college endowments either.